Anthony Joshua has begun sparring ahead of Jarrell Miller bout, scheduled to be held at Madison Square Garden on June 1. The IBO, IBF, WBO and WBA heavyweight champion trained with fellow Brit and amateur boxer Solomon Dacres at the English Institute of Sport in Sheffield. 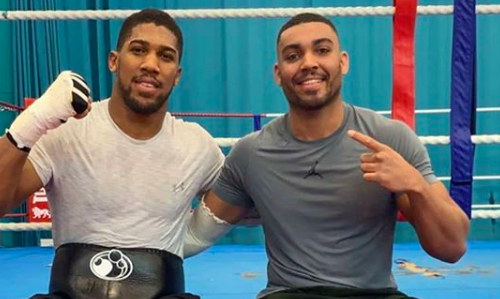 Dacres, who won the gold medal in England Boxing Elite National Championships 2017, later took to Instagram to share a picture with Joshua post sparring. “Real Work,” wrote the 6’5” Dacres, who also happens to be a silver medallist at 2016 GB Boxing Championships and bronze medallist 2016 England Boxing Elite National Championships. This will be the 2012 Olympic gold medallist’s debut in the United States.